Out of all the healthy greens out there, kale is definitely the king! One of the most nutrient-dense superfoods that ever existed, you can bet that kale has remarkable medicinal properties. Keep reading to learn about the nutrients and antioxidants in this potent green superfood, as well as how it can help fight off cancer and heart disease. First off, what is kale? Simply put, it’s a vegetable from the cabbage family. It’s related to veggies like broccoli, cauliflower, collard and Brussels sprouts. There are many different types of kale. The leaves can be green or purple in colour, and have either a smooth or curly shape. The most common type of kale is called curly kale or Scots kale, which has green and curly leaves and a hard, fibrous stem. Kale also 3% or more of the RDA for vitamin B1 (thiamin), vitamin B2 (riboflavin), vitamin B3 (niacin), iron and phosphorus. Amazing, right? Like most leafy greens, kale packs a serious punch of antioxidants, which are substances that help counteract oxidative damage by free radicals in the body. This includes beta-carotene, vitamin C, as well as various flavonoids and polyphenols. Oxidative damage is believed to be among the leading drivers of ageing and many diseases, including cancer. But many substances that happen to be antioxidants also have other important functions. This includes the flavonoids quercetin and kaempferol, which are both abundant in kale. All without EVER touching healthy cells… And without pain, nausea or hair loss. Full details in this special report. These two potent antioxidants have been studied intensely in test tubes and animal studies. They have powerful cardioprotective, blood pressure lowering, anti-inflammatory, anti-viral, anti-depressant and anti-cancer effects … to name a few! It’sa water-soluble antioxidant that serves many vital functions in the body’s cells. For example, it is necessary to synthesise collagen, the most abundant structural protein in the body. Kale is much higher in vitamin C than most other vegetables, containing almost five times us much as spinach. Truth be told, kale is actually one of the best sources of vitamin C around. Only cup of this leafy green contains more vitamin C than a large orange … mind-blowing! As you already know, cancer is a tragic disease. It’s characterised by uncontrolled cell growth. Kale is actually loaded with compounds that are believed to have protective effects against cancer. This includes sulforaphane, a substance that has been shown to help fight the formation of cancer at the molecular level. Kale also containsindole-3-carbinol, another substance that is believed to help prevent cancer. Studies have shown that cruciferous vegetables (including kale) may significantly lower the risk of several cancers, although the evidence in humans is mixed. Cholesterol plays a number of roles in the body. For one, it makes bile acids, which are substances that help us digest fats. The liver turns cholesterol into bile acids, which are then released into the digestive system whenever we eat a fatty meal. When all the fat has been absorbed and the bile acids have served their purpose, they are reabsorbed into the bloodstream and used again. Substances called bile acid sequestrants can bind bile acids in the digestive system and prevent them from being reabsorbed. This reduces the total amount of cholesterol in the body. Guess what… kale actually contains bile acid sequestrants, which can lower cholesterol levels (11). This should lead to a reduced risk of heart disease over time. One specific study found that daily consumption of kale juice for 12 weeks increased HDL (the “good”) cholesterol by 27% and lowered LDL levels by 10%, while also improving antioxidant status. 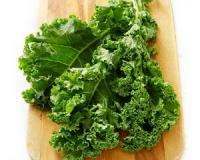 According to another study, steaming kale dramatically increases the bile acid binding effect. Steamed kale is actually 43% as potent as cholestyramine, a cholesterol- lowering drug that functions in this way. There you have it – four fascinating health benefits of kale! Be sure to add more of this highly rated superfood to your diet to reap the benefits.